Only once in a lifetime will you be in high school and quotations for high school seniors can sum up the experience. Senior high school quotes are often featured as yearbook quotes with everyone picking a memorable phrase or saying that best suits them. Completing high school is a major accomplishment and comes with a lot of emotions. 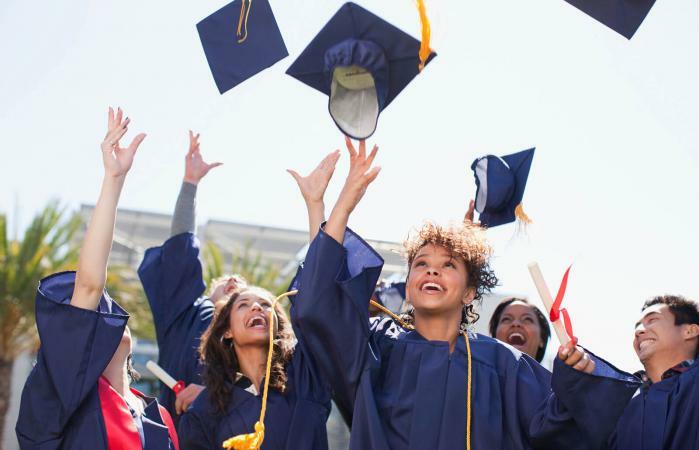 From inspirational quotes about the future to humorous quotes that give a laugh, there are lots of different senior graduation quotes to use. Consider one of the following quotes about high school for a graduating senior in your life. High school gave you the canvas - now it's time to fill it with the artwork of your future. High school isn't easy - the ups and downs, the heartache and joy, the laughter and the tears - some days it felt like a struggle, but each and every experience has helped shape you into the wonderful person you are today. Your high school memories are the background music that plays as you embark on your new adventures. Graduating from high school is no small feat - but the lessons you've learned will stay with you as you plan the next steps of your future. Remember all those dandelion wishes you made as a kid? Now that you've made it through high school it's time to see them all come true. Be proud of all your accomplishments in high school! One day you'll look back and see how they were the start of your success. 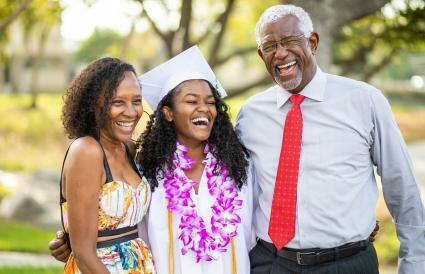 Being a high school senior means the future is on the horizon - whether kids are planning on going or college or entering the workforce, a motivational quote or saying about the future can have a meaningful impact. If you always hike on the same trail, you might miss a world of beauty. Be bold and dare to try new paths. The future might be uncertain, but your friends and family believe in you. Follow your dreams knowing we stand behind you all the way. Don't ever think you have to compare yourself to others; your journey is uniquely yours, no matter where you go or how you travel it. The future is like an elevator - you'll go up and down a lot before you reach the place you want to be. Sometimes there's nothing that can prepare you for life's unexpected curves. Keep smiling and believe in yourself, and you'll always make it through. Your bright, never-give-up spirit will light your way in the future future. Don't let anyone stop you from being the shining star you were meant to be. The world is full of tools - a pen, a paintbrush, a microscope… pick up yours and you'll begin to soar. Let nothing stand in the way of what your future holds. Life is all about balance, so keep the scales steady as you move into your future. Love and be loved, have friends and show friendship, speak truth and stay true to who you are. Patience and politeness are virtues often overlooked in today's world. Use both and you'll be surprised at how far they'll take you. For a future full of love and wisdom, follow your heart, but don't forget to listen to your mind on occasion, too. Follow your dreams with action, and impossibility doesn't stand a chance. A single moment can change your life; be open to the chance gifts the world might bring to your feet. A setback is just an accomplishment in disguise; push on when you encounter them and your future will be stronger than ever. Be passionate. Success has no room for ambivalence. Sometimes the best words are left unspoken. 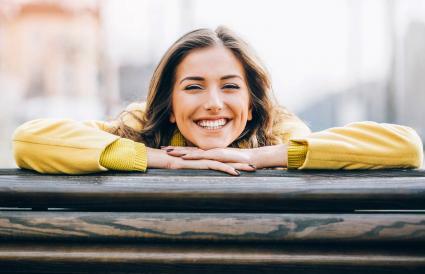 Harsh words create bitterness, but sincere smiles mitigate difficulty. Never let money get in the way of your dreams. True happiness doesn't have a price. Your future can be what you make it. Forge ahead, take risks, and dream big. As a parent, it can be hard to put your powerful feelings about your son or daughter into words. Use one of these quotes, or let them guide you in creating your own special words of congratulations. I've watched you grow all these years, and words will never express how proud I am of you. I know you'll accomplish great things - never doubt yourself, and surround yourself with people who will support your dreams. The road ahead of you won't always be easy, but I've seen you work through challenges and come out stronger than ever. I believe in you, (son/daughter). We may not have always see eye to eye as you went through high school but I'm proud to call you my (son/daughter). I hope you know that I'll always be there for you, no matter what. Friendship is another major part of high school. Seniors can use friendship quotes like these to thank and celebrate with friends. True friends like you don't come along often; the memories we have of high school will always remind me of how lucky I am to have met you. Real friendship doesn't fade away, it just gets stronger with time. I know that no matter where our futures take us we'll always be there for one another. Thanks for all the times you've laughed with me and cried with through our high school years. I couldn't have made it through without your friendship. I know you'll always have my back, (sister/brother). Thanks for being one of the best friends a (girl/guy) could ever count on. A funny graduation quote is just the ticket in some situations. Classes, work, sports or clubs, sleep. Repeat. High school may be over, but you get to do it all over again in college - you'll just have to pay for it this time. The worst mistakes are being too afraid to make any at all. The best mistakes might just turn out to be dreams come true in disguise. People have probably given you a lot of advice on life and your future lately. Fifty percent of it is probably things they wish people would have told them at graduation; the other fifty percent is probably something they saw on a greeting card that they were too cheap to buy. If high school was supposed to be the best time of our lives, does that mean it all goes downhill from here? I would love to give you the perfect formula for success after high school… unfortunately there isn't one! Pick your quote with care as it will stick with you as a high school memory. Pick a quote that makes you feel good inside or uplifts you. Ask your parents or older siblings if they remember their senior quote or have suggestions. If you just can't think of a quote on your own, use some quote resources like brainy quote and quote garden. Try to remember wonderful phrases you've said about your school or friends. Think of a humorous saying you've often used. Don't embarrass yourself by sharing something that's too personal. Consider using a well-known, but meaningful phrase like "carpe diem". Write it in the high school yearbook, or on a note tucked inside a special yearbook page. Write in a card, letter, or on the back of a special photo for a graduating senior. Use at place settings or guest books for senior parties. If the quote is extra special or meaningful, have it engraved on a special graduation gift, like a photo frame, locket, or keytag. Use funny or motivational quotes on banners or signs at graduation dinners or parties. Start or end a speech or toast with a unique quote for extra impact. Use on signs or posters at school to honor graduating seniors. Now that you have a better idea about great quotations, pick one that jumps out at you. It is one of the last marks you'll leave behind in your high school experience.